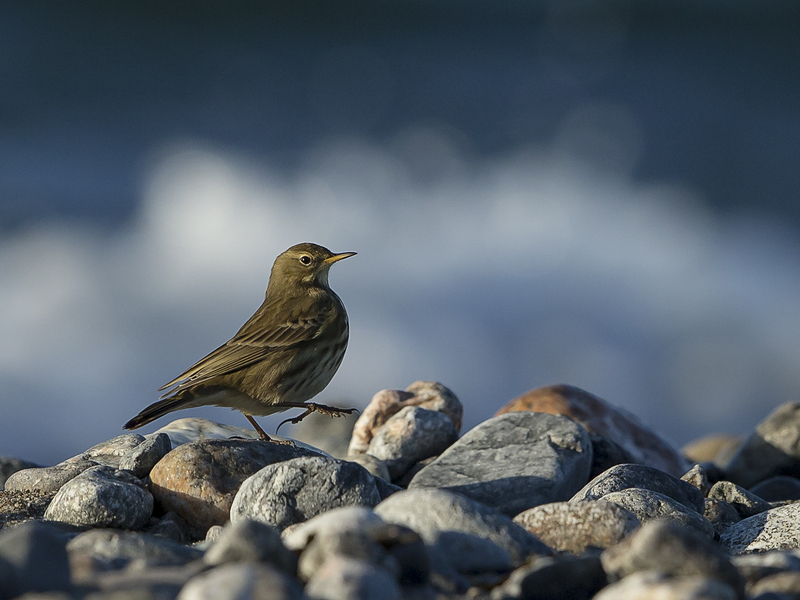 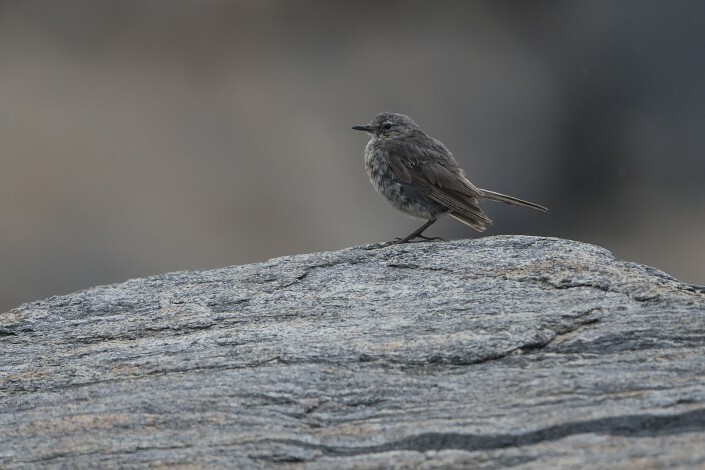 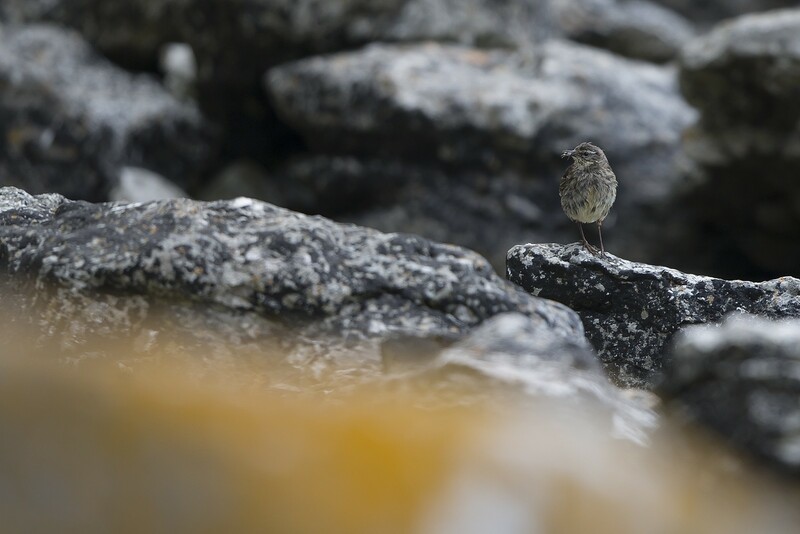 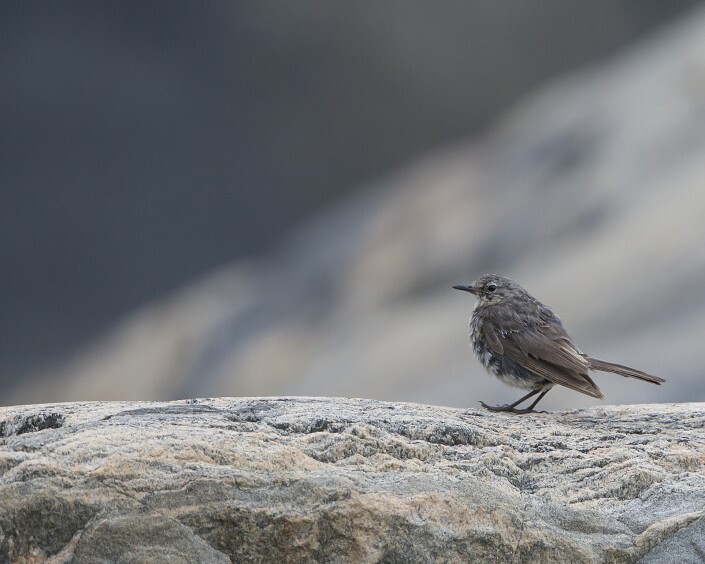 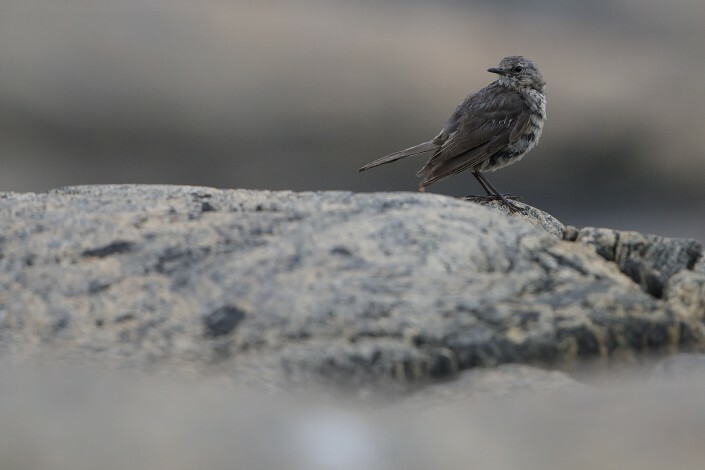 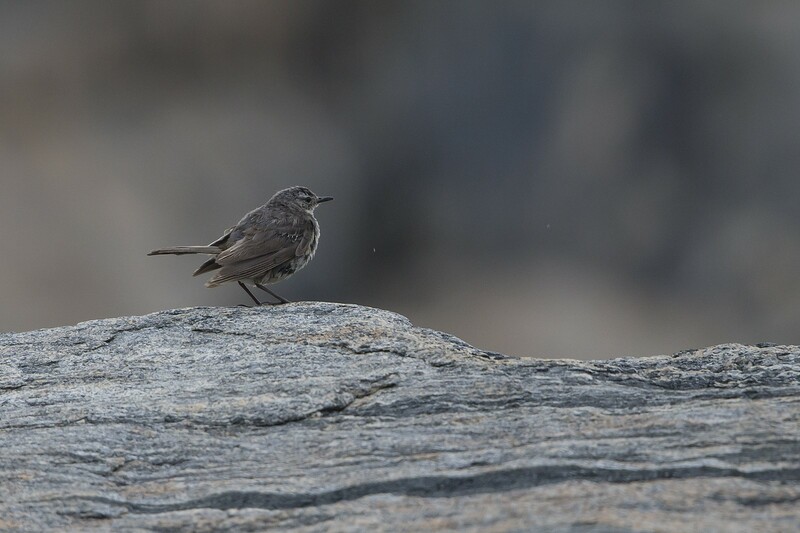 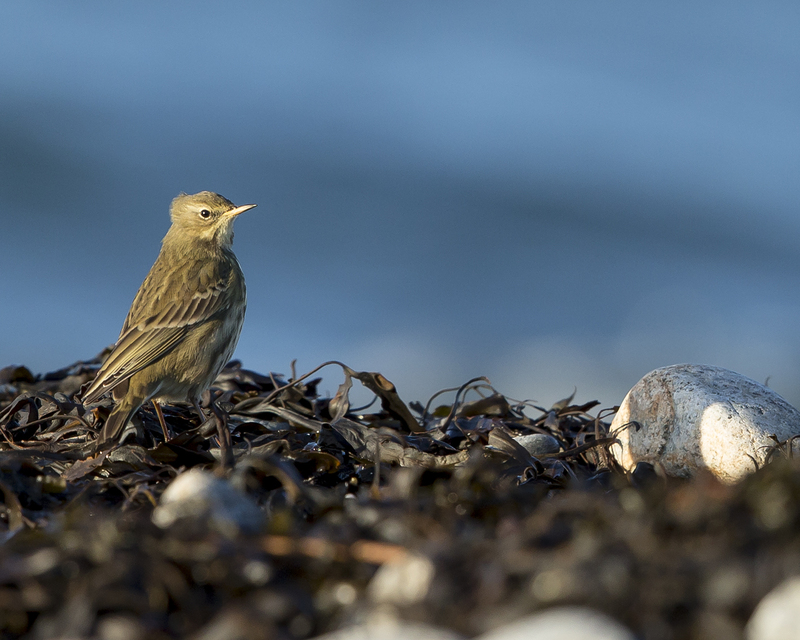 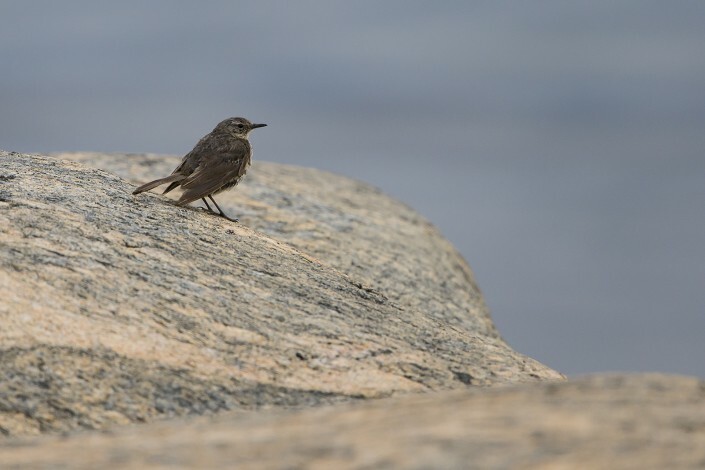 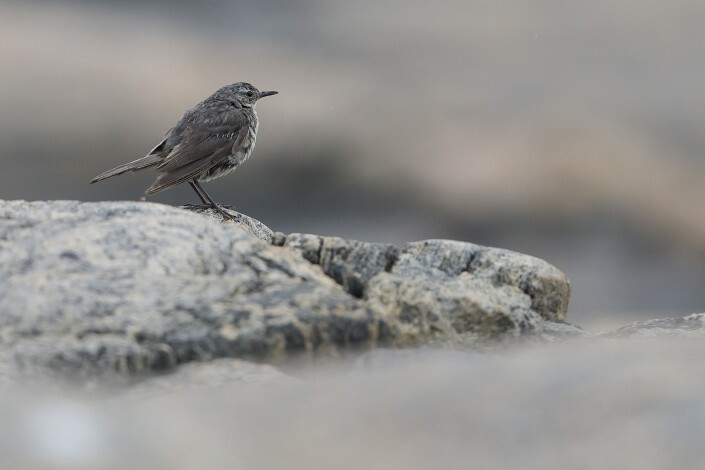 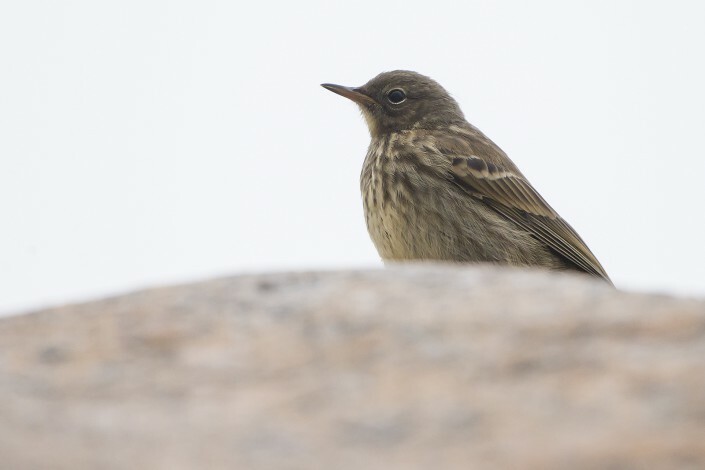 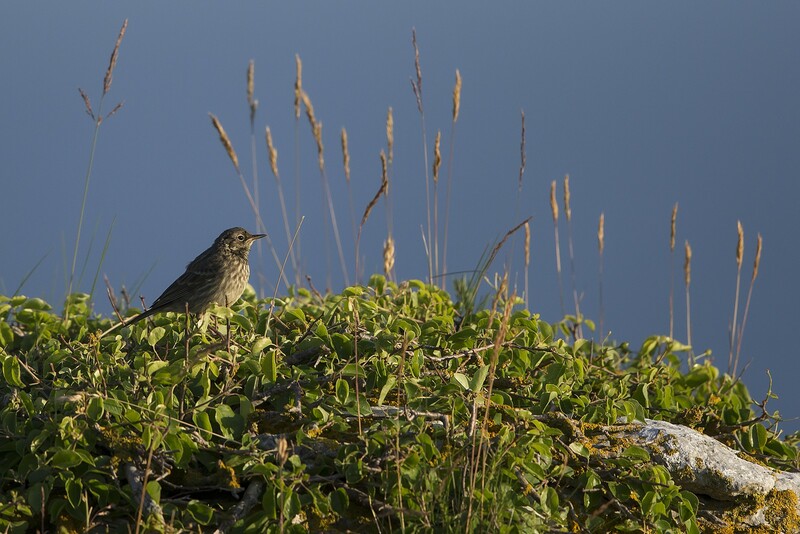 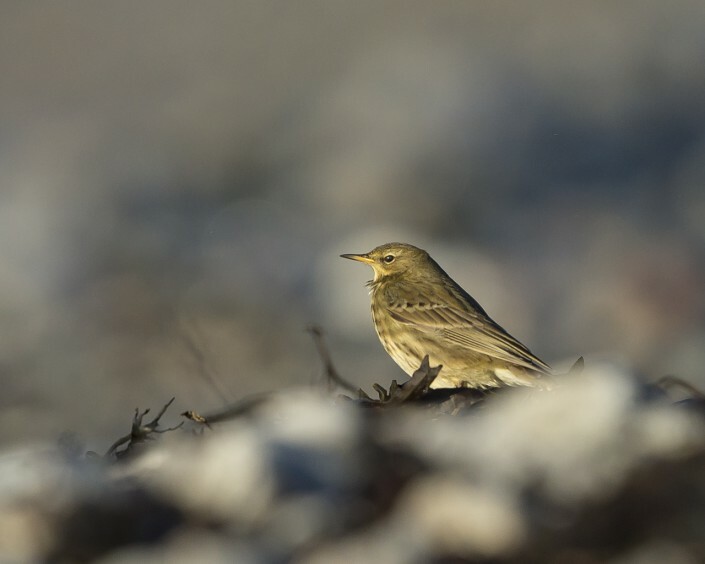 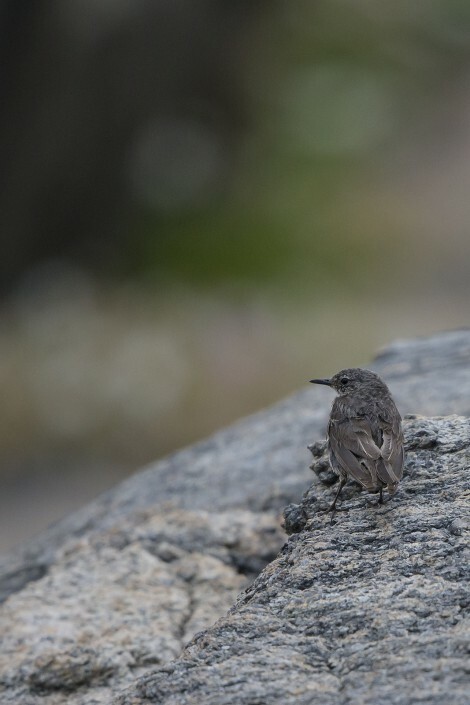 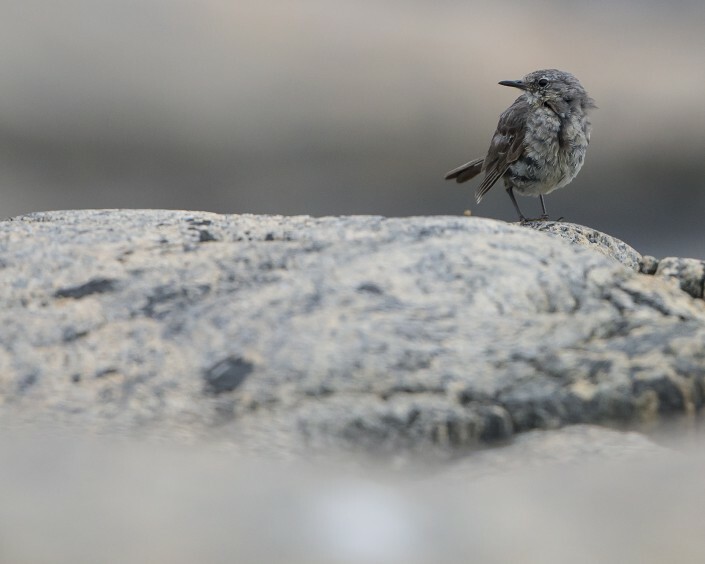 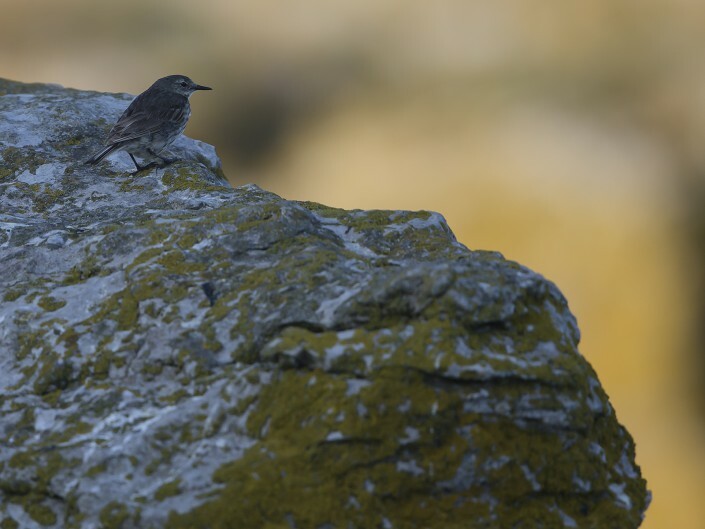 The rock pipit is the most inconspicuous of the pipits. 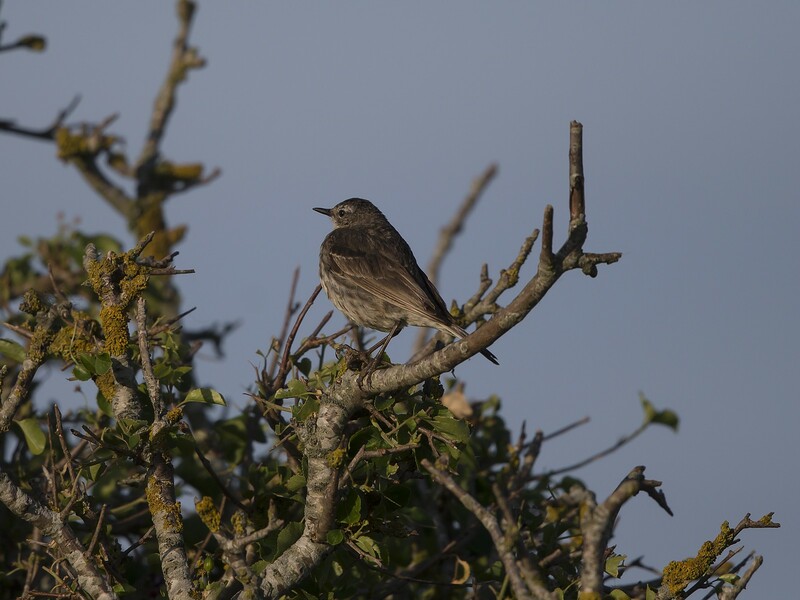 They are closely related to the tree and meadow pipits and are rather similar in appearance, however are larger and have darker legs. 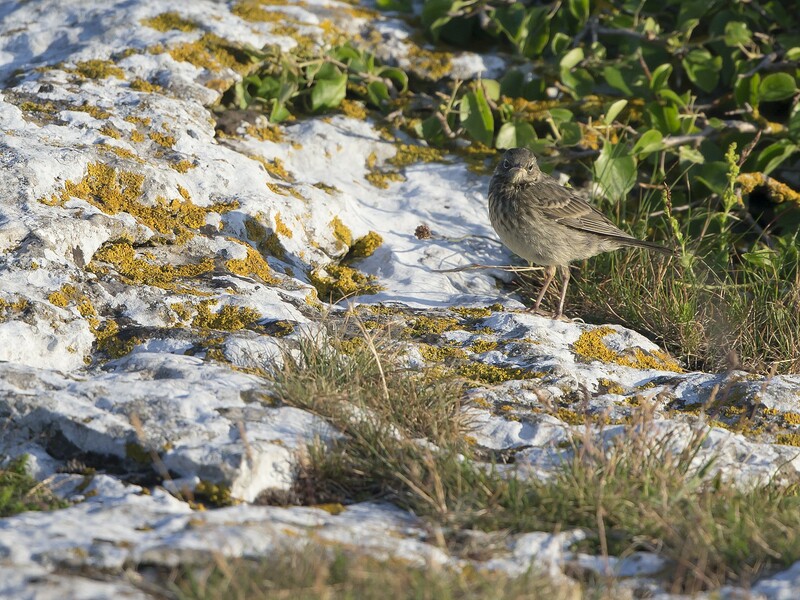 It has dusky outer tail feathers, unlike the pure white of most pipits. It can also be distinguished by its smoke-coloured plumage, pale eye-ring and dark breast, although the breast streaks are poorly defined. 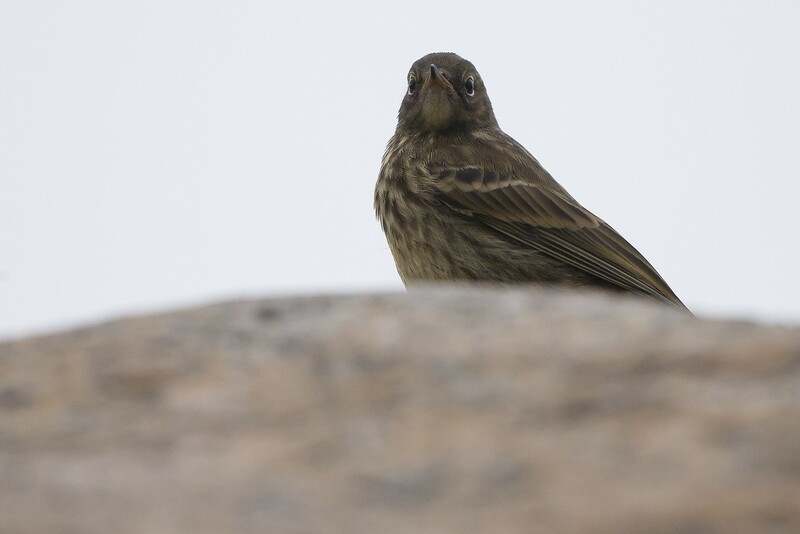 The upperparts are dark olive with buff underparts. 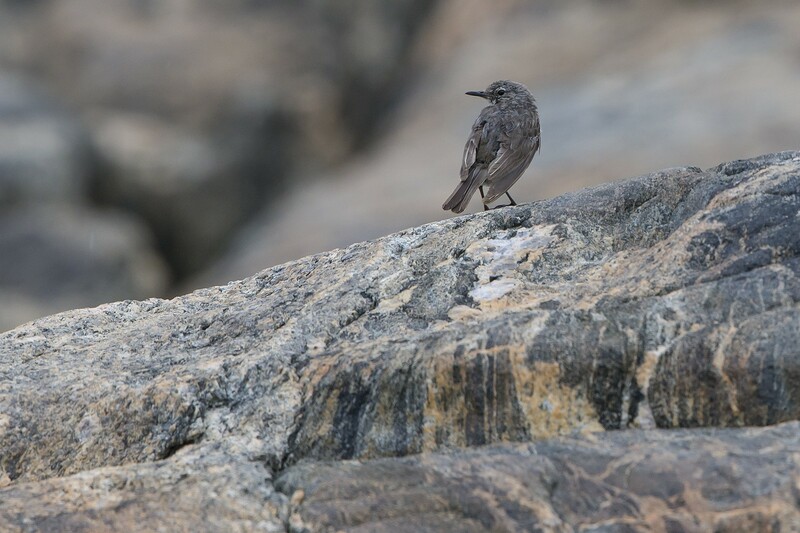 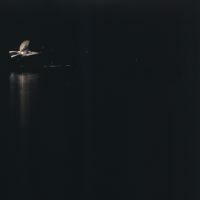 It has a length of 16 centimetres and a wingspan of 25 centimetres, with a weight of 24 grams.